2015-06-11 Purple Coneflower from the garden. It's actually a very vibrant pink. I've been missing this daily group and I'm going to try to start doing the dailies again. Pretty shot. Looking forward to seeing them bloom here. I love Coneflowers! This is lovely! Beautiful color and great capture! Nice to see you back! Beautiful DOF and focal points. Very pretty! 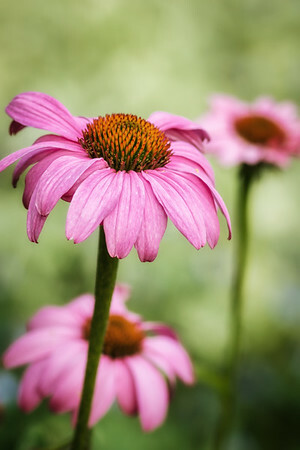 It never ceases to amaze me that these are called "Purple Coneflowers" although they are pink:)!